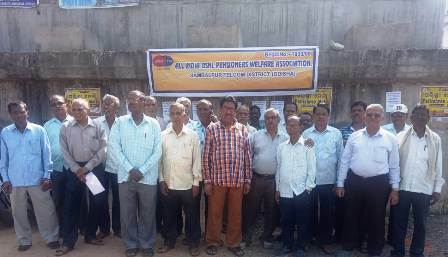 OUR HYDERABAD DISTRICT SECRETARY INFORMS THAT THE DISTRICT UNIT HAS CROSSED LIFE MEMBERSHIP OF 1900. THERE IS NO ANNUAL MEMBERSHIP. 100% LIFE MEMBERSHIP. CONGRATULATIONS TO COMRADES OF HYDERABAD. 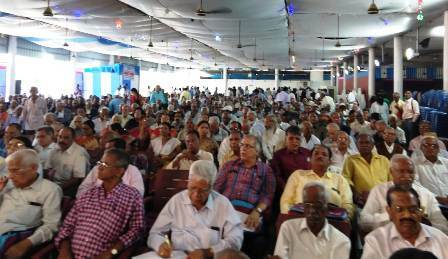 We can confidently say that there is a positive shift in the attitude of Minister and DOT towards our pension revision. This is most welcome. Pay Revision in BSNL may take some more time. But, before that, the DoT may move the file for pension revision. 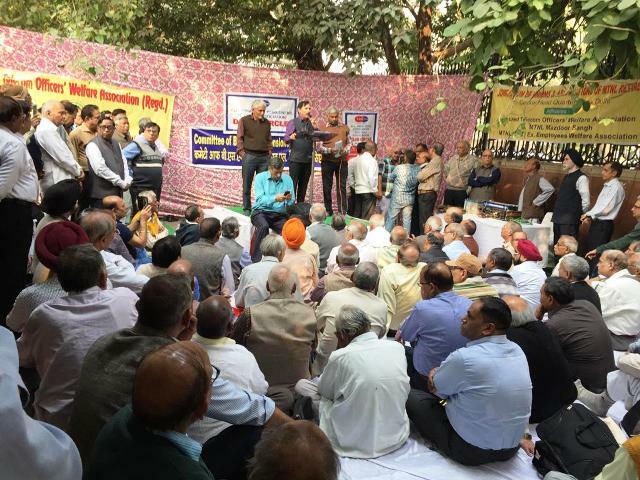 So, DoT admits that pension revision can be done without Pay Revision. In effect, Pension revision is delinked from Pay revision. 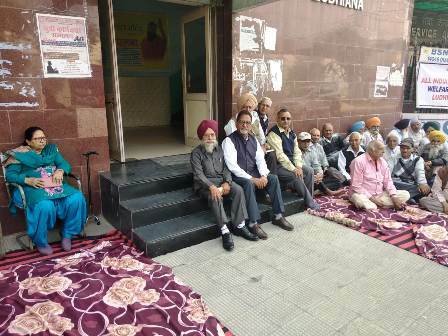 This is the victory of pensioners. 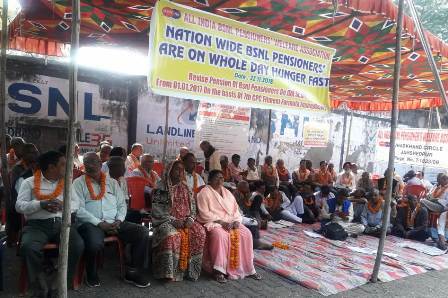 I have no doubt that it is the result of mass FAST all over the country on 22-11-2018 and the unity of BSNL/MTNL pensioners and formation of Committee of BSNL/MTNL Pensioners’ Associations (CBMPA). Even if DoT proposes delinking pension revision from pay revision the DoPW has to approve it. 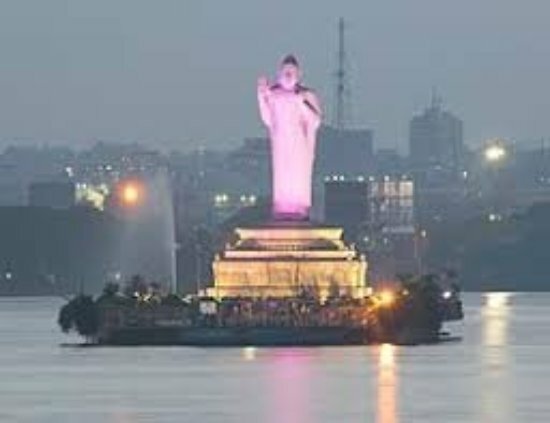 Then the proposal has to be approved by other nodal ministries/departments also. Then only the DOT will prepare the cabinet note and submit to the Cabinet. These procedures cannot be avoided. It should happen before Lok Sabha elections are announced. Elections are in May 2019. 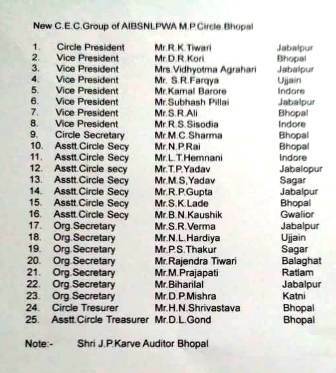 Code of Conduct may be imposed in March or April 2019. Code of conduct should not come in our way. 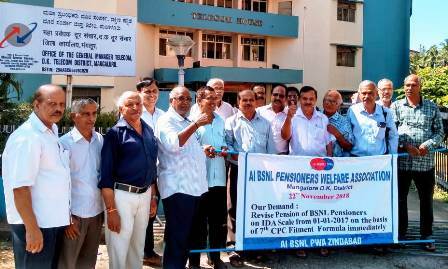 We must continue our efforts to get Pension revision with CPC fitment benefits; not only for BSNL but for the MTNL pensioners also. We should not criticize anybody for posting their views/understandings in the whatsapp groups. Understanding may differ sometimes. We are all human beings. We are thankful to AUAB for raising the issue of de-linking of pension revision from Pay Revision. Same time, we should strengthen our unity and organize further programmes under the banner of the new united forum- CBMPA. We have placed a new unique demand. It is a new concept; it is a new path. It is not that easy to get something new approved by the authorities. We have to cross many a hurdles. We have to cross many bridges. Who started first and who joined later is not an issue. Destination is important. We want a permanent solution to the problem. Most significant is that the File has started moving. We shall get pension revision. 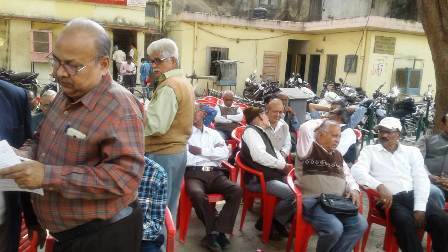 That will be the VICTORY of all BSNL/MTNL pensioners. 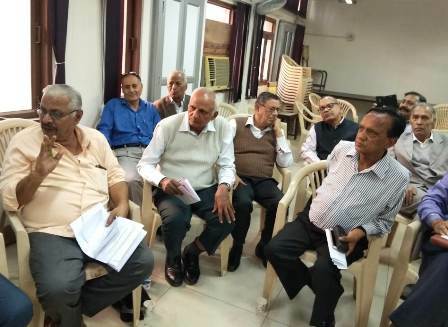 On the eve of indefinite strike by BSNL staff and officers from today, there were series of meetings yesterday between All Unions and Associations of BSNL on one side and the BSNL Management as well as Dept of Telecom on the other side. Though the main issue of PAY REVISION could not be clinched, there is a chance of meeting the Minister of State for Communication today. Hence, the AUAB postponed the strike to 10-12-2018. After the announcement of postponement, the DoT has invited the leaders of AUAB for meeting with Minister today. 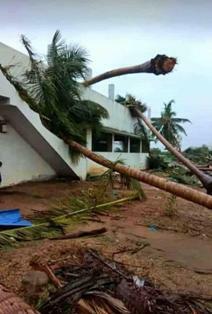 Our Tamil Nadu circle Unit has taken the initiative to help the Gaja cyclone victims and collected more than 6.5 lakhs so far. It is still pouring. We have decided to distribute 2 lungies, 2 towels, 2 sarees, 2 inskirts, 1 mat, 1 mosquito net, 10kg rice, match box, candle, noodles and rusk to 400 families. 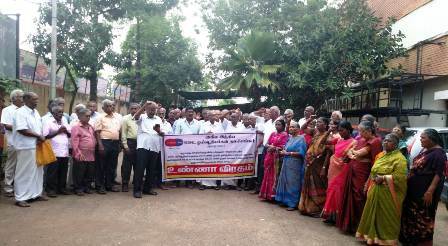 It may be distributed in Pattukottai exchange (Thanjavur District). 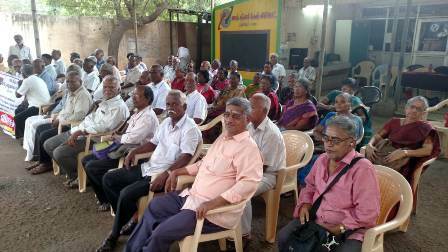 The requirements were assessed by Thanjavur District secretary Com Swaminathan. 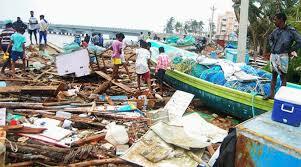 Chennai telephones contributed Rs. One lakh. CHQ sent a sum of Rs 20,000 as its contribution. 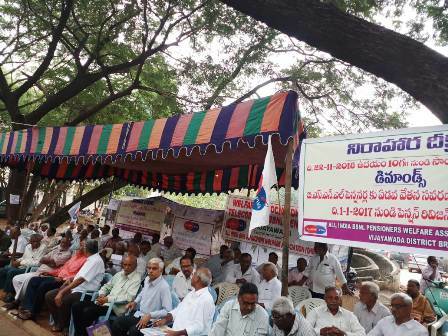 Our leaders Ramarao, Muthiyalu, RV, M.Kannappan, Ratna and Eswaran of Erode are actively involved in arranging the materials. With the help of com Swaminathan and his team, the materials will be distributed positively on 4/12/2018. 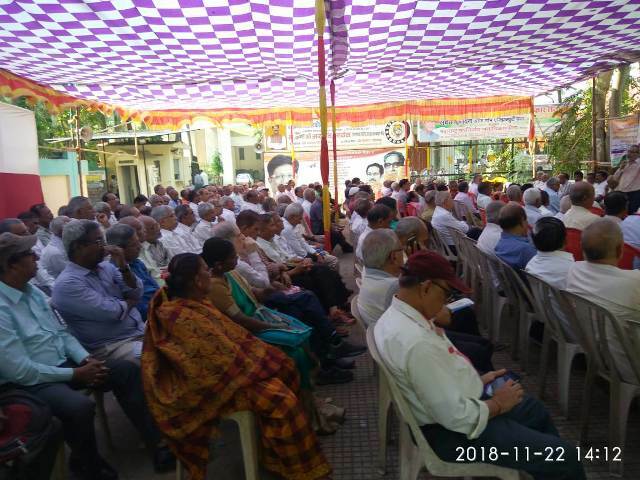 On 29th November 2018, the Madurai branch in Tamilnadu has crossed the Life membership of 1000. With 800 annual membership,total membership is 1800 now. 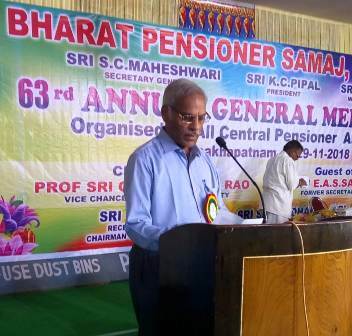 BHARAT PENSIONERS SAMAJ, ONE OF THE OLDEST FEDERATIONS OF CENTRAL GOVT PENSIONERS IN INDIA IS HOLDING ITS 63rd ANNUAL GENERAL MEETING AT VISAKHAPATNAM TODAY, 29-11-2018. COM. 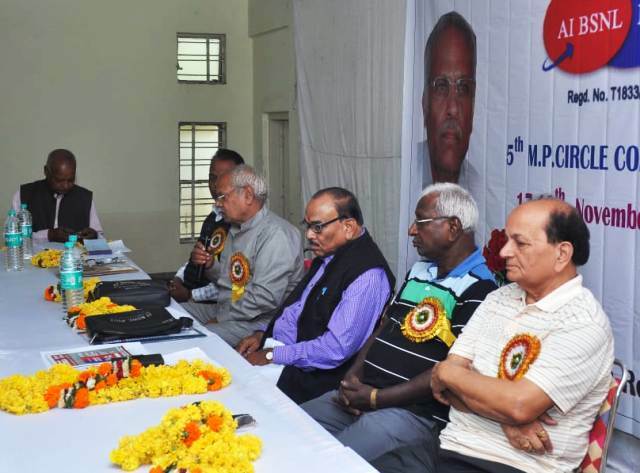 P GANGADHARA RAO, OUR GENERAL SECRETARY, ADDRESSED THE CONFERENCE. COM. 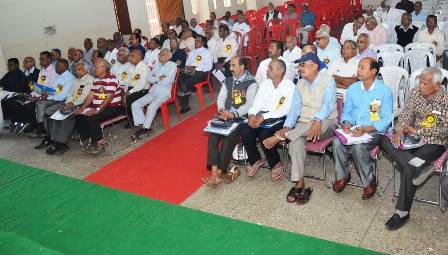 VARAPRASAD AND LEADERS OF VISAKHAPATNAM DISTRICT WERE ALSO PRESENT ON THE OCCASION. 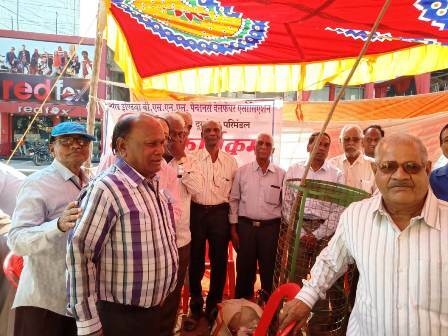 AIBSNLPWA HAS BEEN AFFILIATED WITH BHARAT PENSIONERS SAMAJ. 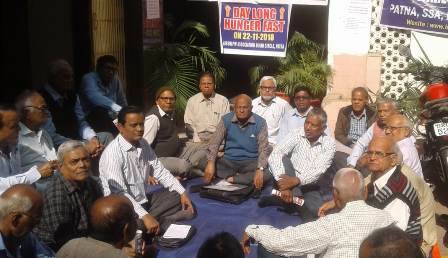 discuss issues and programme of action to achieve our demands. Normally I do not easily admit defeat. I would try, try and try. But, here I admit defeat. 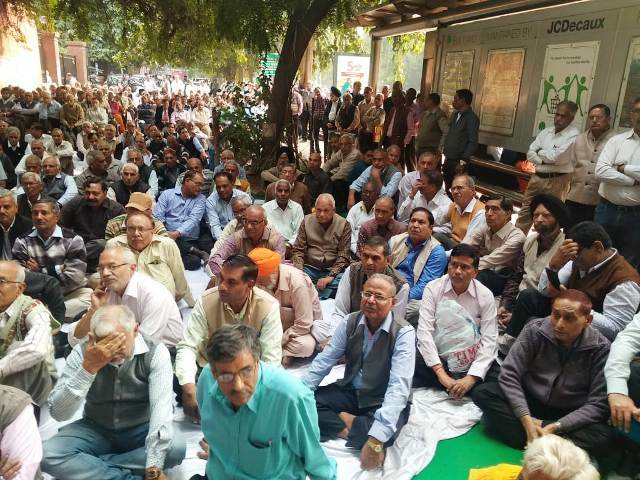 I expected some 100 photos of the dharna programme on 22-11-2018. But before 12 noon, about 150 photos reached my phone. By 1.30 PM 438 photos came. Then it was increasing every minute. After inaugurating the dharna at Kochi I had to go to my village for a wedding function. There was no wifi. There were no signals. And photos were coming. By 7.30 PM it reached around 900. By night 11 PM the number became 1600. 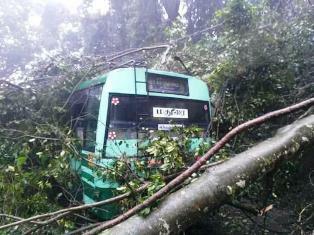 Some branches sent 25-30 photos. Such was the enthusiasm. Such was the spirit. It was an astounding success. In every circle. 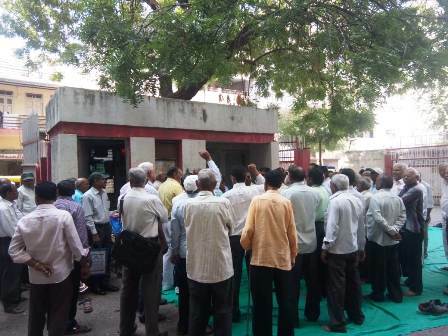 In MP police denied permission due to election. 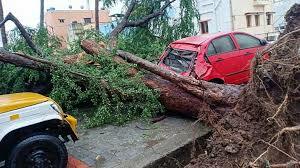 In Chennai it was raining heavily. Nothing stopped our comrades. After reaching my home at Trivandrum today I have to select few photos for the website and Patrika. Here I faced the defeat. I deleted those photos repeated. Finally there are about 400 photos. Since my phone got jammed on 22-11-2018 I am unable to identify the places. So I have no way but to upload the photos without naming the station. I admit defeat before the amazing enthusiasm of our comrades. 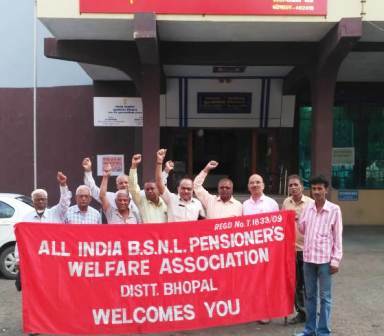 COMMITTEE OF BSNL/MTNL PENSIONERS ASSOCIATIONS IS FORMED. THE CBMPA HAS SENT THE FOLLOWING LETTER TO SECRETARY, TELECOM. GEAR UP FOR THE FAST. 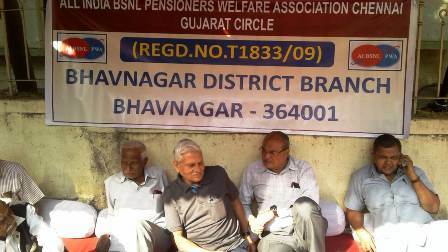 Both BSNL serving staff and BSNL retirees face a very tough time. 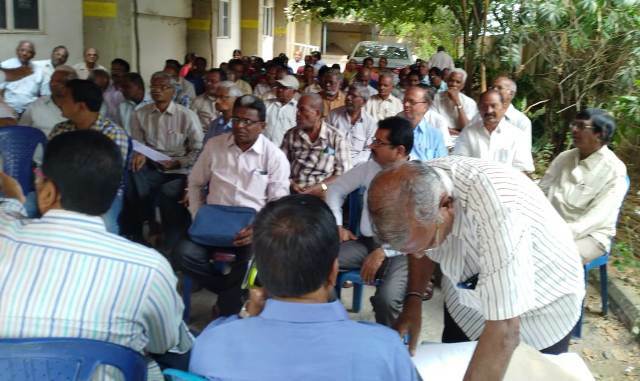 DoT is taking negative attitude towards Pay Revision and Pension Revision. 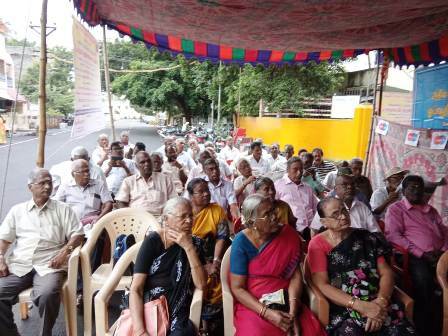 Tomorrow Pensioners should express their strong emphatic protest by participating in the programme enmasse. Now there is no Cabinet Minister for Communications. Govt. is not ready to bail out BSNL or MTNL. On the other hand Reliance get all patronage. It is time for us to move unitedly. DIRECTOR HAS NOT SEEN THE FILES !!!! 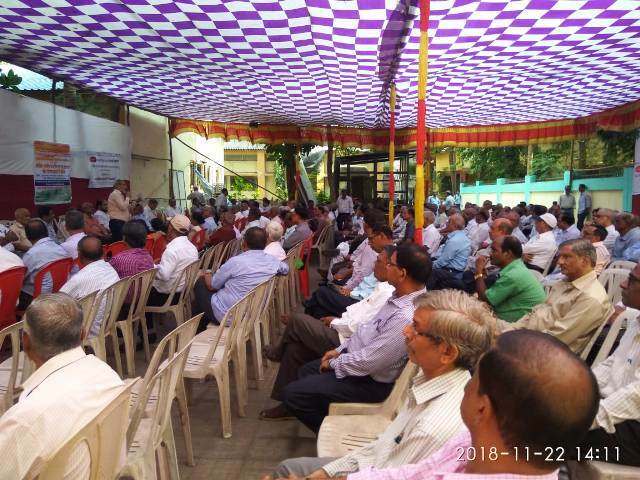 THE NATIONAL COUNCIL (BSNL) WAS HELD ON 20-11-2018 . SMT. 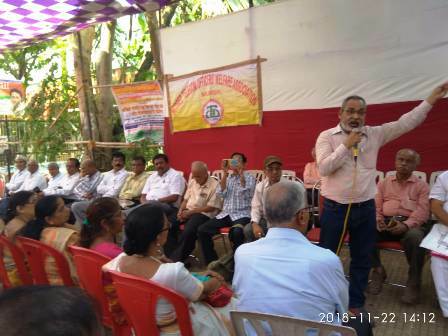 SUJATA RAY, DIRECTOR (HR) PRESIDED OVER. 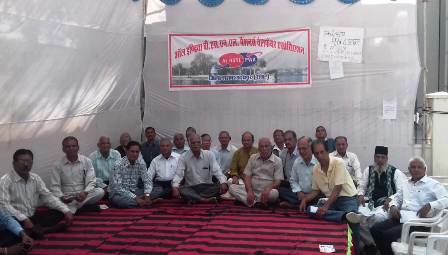 THE MOST IMPORTANT ITEM GIVEN BY STAFF WIDE WAS PAY REVISION OF STAFF IN BSNL. "Wage negotiation of the Non-Executives. 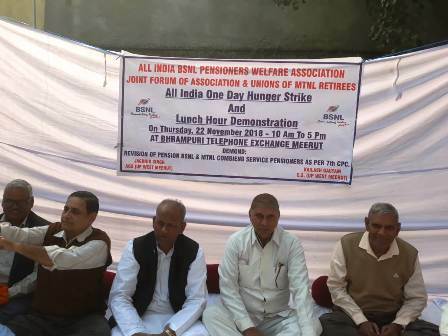 Staff Side pointed out that the wage revision of Non-Executives have come to a halt, due to the reason that the Management Side is insisting for freezing of the HRA. The Staff Side have not accepted it. 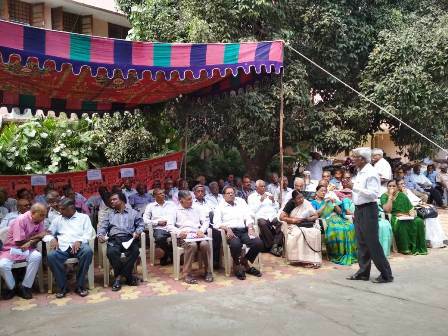 In today’s meeting, Staff Side forcefully demanded that, the wage revision talks should once again start and agreement should be signed without delay, by considering HRA revision. The Chairperson replied that, she has not seen the file and assured to do the needful...."
We can understand the attitude of BSNL management when the chairperson of National Council comes without seeing the files on the most crucial issue. 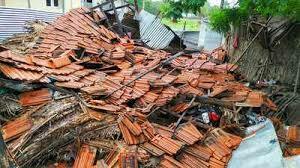 The furious nature blows from Bay of Bengal in the form of GAJA Cyclone today. 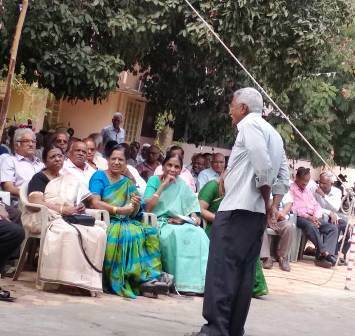 Few pictures from Vedaranyam, about 100 Km away from Thanjavur in Tamilnadu. 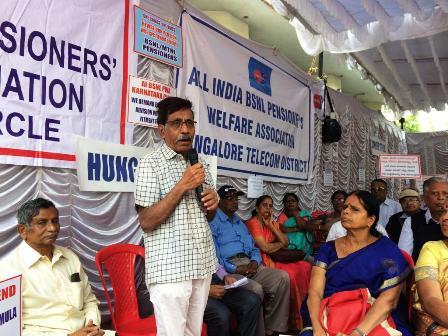 "DOT is determined to complicate the case of BSNL Employees Pay revision in all possible ways. AUAB is likely to intensify its struggle in future. 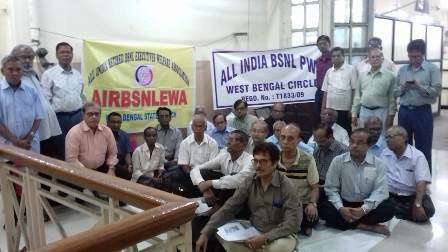 AIBSNLPWA extends its solidarity with all the programms of employees. We call upon all our Units to actively support wherever possible and feasible". 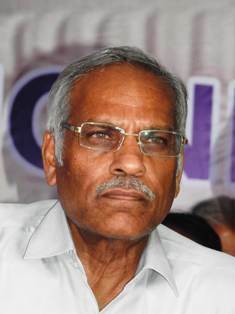 .................................. P Gangadhara Rao, General Secretary. 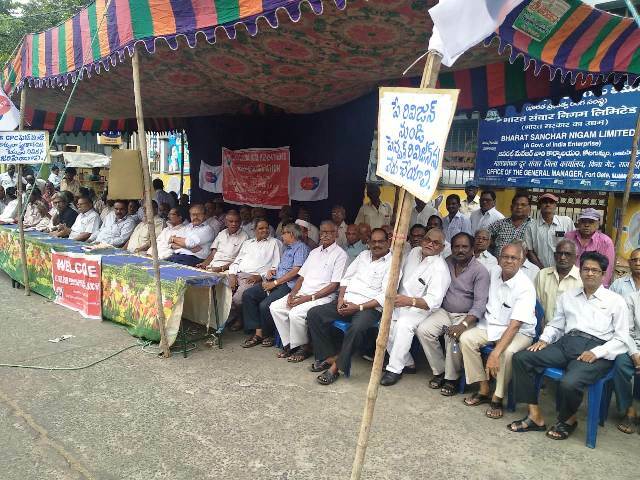 DoT virtually rejects the key demands - now there is no other option, but to go on strike. 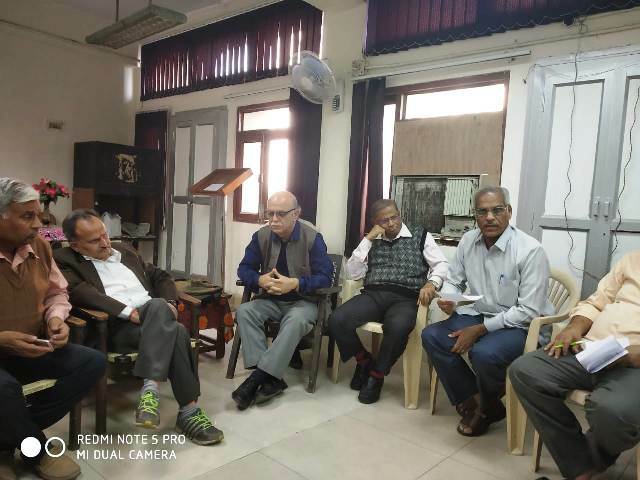 In the meeting held between the AUAB and the Secretary, Telecom, on 02.11.2018, it was informed that, the DoT would raise certain queries from BSNL. Further it was also assured that the DoT would finalise the Cabinet Note on the 3rd pay revision issue, on receipt of reply from BSNL. Now it is learnt that the DoT has written letter to BSNL, raising certain queries. 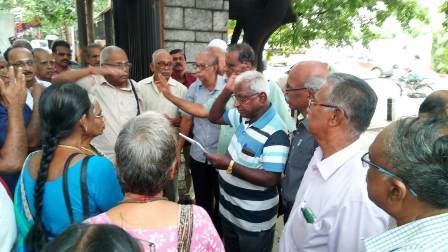 It is also learnt that, in that letter, the DoT has virtually rejected the demands for 3rd pay revision, allotment of 4G spectrum to BSNL and payment of pension contribution on actual basic pay. 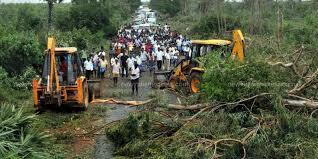 The DoT has not taken any action for the last 8 months, to implement the assurances given by the Hon’ble MoS(C). Now, they have virtually rejected all the important demands. Hence, CHQ would like to inform the circle and district unions that now we are left with no other option, but to go on strike, including an indefinite one. 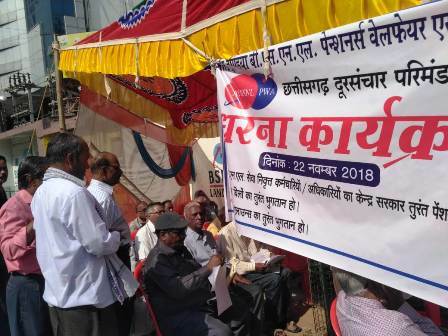 Circle and district unions are requested to give vide publicity to the employees on this development, and take all out efforts to mobilise the employees for strike action. PROMISES, DECLARATIONS, CLAIMS, ILLUSIONS ARE OVER. REALITY IS THAT DEPARTMENT OF TELECOM IS NOT PREPARED TO IMPLEMENT THE PRC REPORT FOR PAY REVISION. 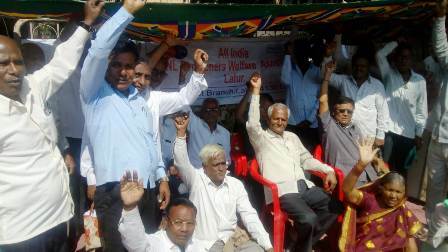 THE WORKING STAFF OF BSNL HAS NO ALTERNATIVE BUT TO GO ON ACTION. WE SUPPORT THEIR JOINT PROGRAMMES. IT IS A GREAT LOSS TO US. 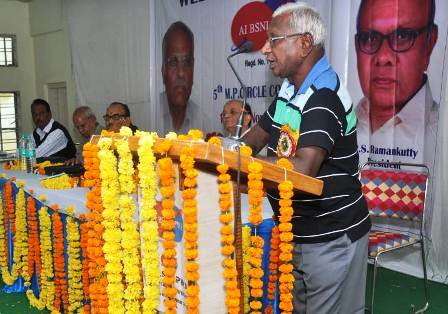 He was undergoing treatment for cancer at at Shankara Cancer Hospital in Bengaluru. SRI ANANTHKUMAR WAS A LEADER WITH DIFFERENCE. He never talked politics to us. He helped us knowing that our Association had members of diverse political views. He was practical in approach. Quick in action. Polite and Positive. 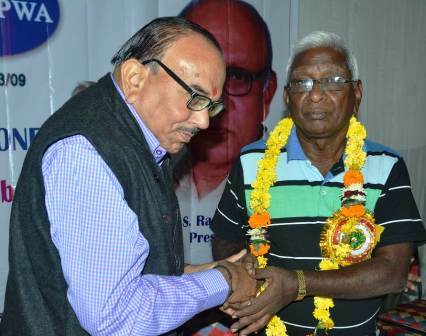 HE WAS INSTRUMENTAL IN ENSURING TO BSNL PENSIONERS THAT OUR PENSION IS PAID BY GOVT. 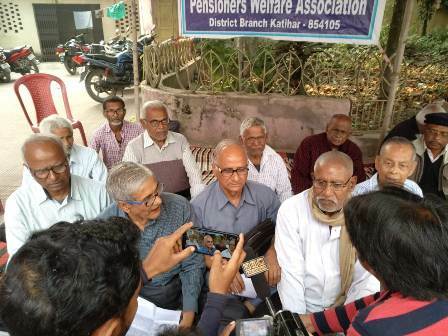 BY REMOVING 60:40 AND SETTLING 78.2 PENSION REVISION. Our heartfelt condelonces to the brave Heart of Sri Ananthakumar. A CLEAR AND CORRECT STAND BY BSNLEU. The AUAB is holding protest demonstrations today. 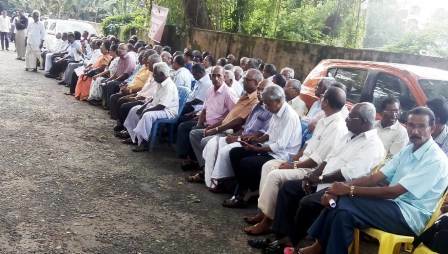 One of the demands placed by AUAB is Pension Revision. 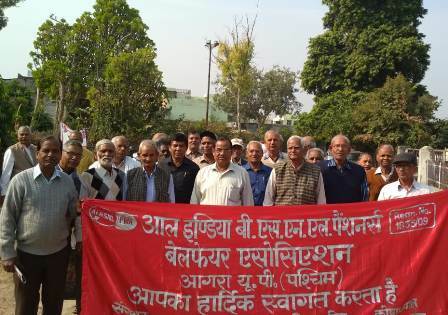 In its letter the AUAB has pointed out that last time, after implementation of Wage Revision of serving staff in BSNL, there was undue delay in pension revision. It should not happen this time. 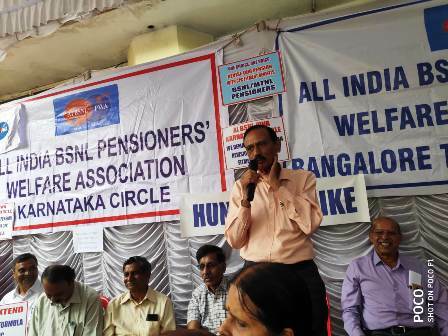 Hence AUAB demands immediate pension revision for BSNL absorbees. 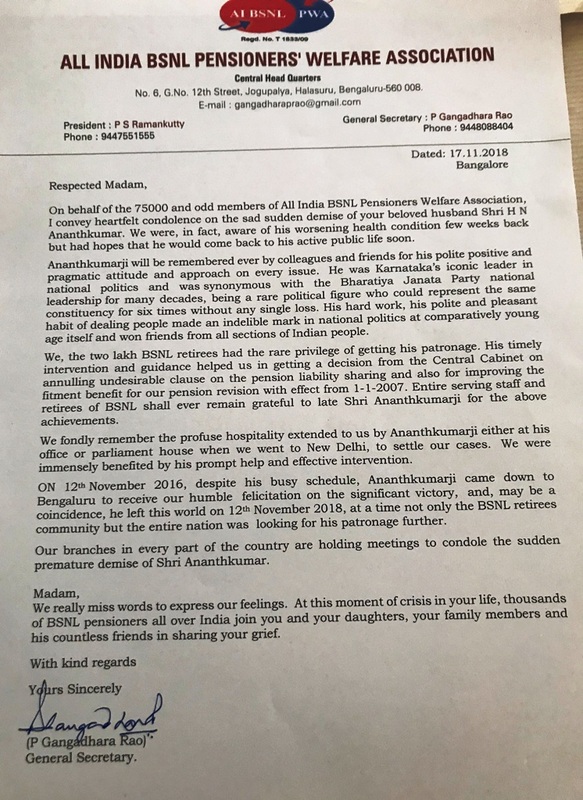 AUAB did not demand CPC fitment benefit. Immediate pension revision means; there should not be much delay after wage revision. So, I feel that the pension revision is indirectly linked with pay revision of serving staff. It is a clear and correct stand. I welcome the stand taken by BSNLEU. I hope AUAB will also come out with such a clear unambiguous demand on pension revision. 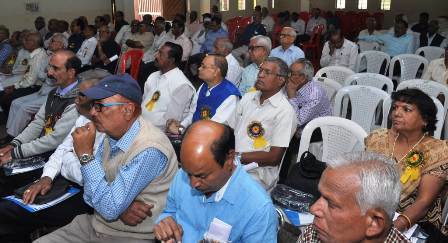 Pension revision and pay revision are two different issues to be decided by two authorities. Do not link the both. 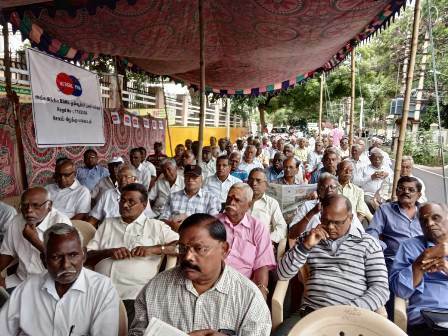 Grant the pension revision to BSNL retirees immediately at par with other central service pensioners. Already two years are over. Do not wait further. Today GS along with Shri S.P. Sharma GS BSNL WRU met Shri Pawan Gupta Director (PSU) DoT and enquired about the status of cabinet note for relaxation of affordability clause for implementation of 3rd PRC recommendation in BSNL. Director (PSU) DoT informed us that DoT Finance had earlier raised some points and DoT had written to BSNL for clarifying the points raised by DoT Finance. The clarification submitted by BSNL is being examined by DoT Finance. After clearance by DoT Finance, the cabinet note will be sent to all the concerned Ministries for their comments. Director (PSU), DoT assured us that all efforts are being taken for implementing 3rd pay revision in the coming months, but the main concern is the 22% fall in revenue in 2017-18 when compared to the revenue of 2016-17. In the present financial year also BSNL revenue has been coming down and this may be a stumbling block in getting cabinet approval.